When you add a flashcard, you'll see a screen like the one below. A key distinction is that Osmosis enables you to create various cloze styles: Single Blank (Underline), All blank, and Anki-style. 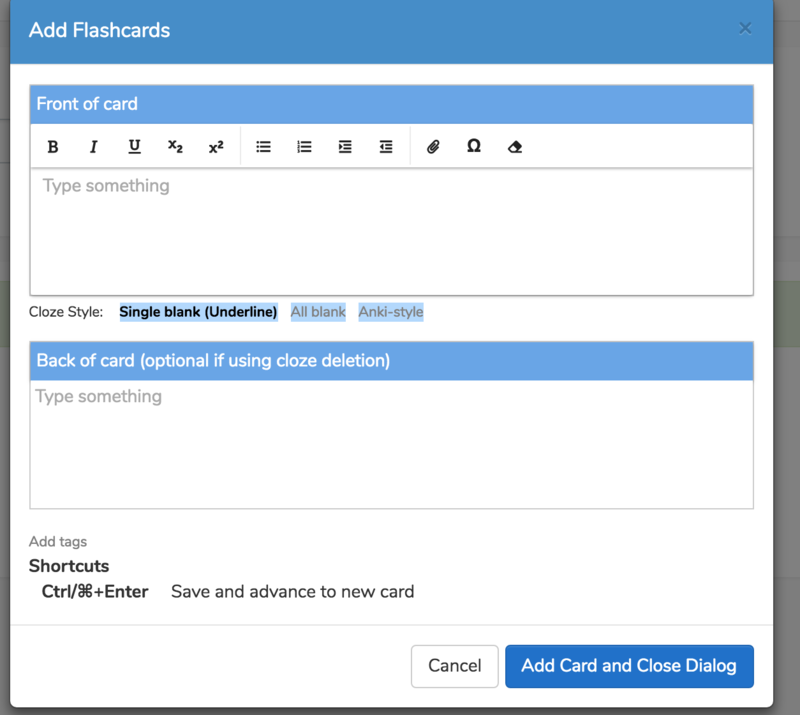 Check out our Flashcard Style Guide to learn the best practices here. With Osmosis, a flashcard that has multiple blanks results in one card in spaced repetition, and which spot is blank is randomly chosen when the card is displayed.